Upon nearing the age of seventy, most career-driven folk have weathered enough of life's stormy seas and savoured its pleasures. They begin to think about dabbling in golf or bridge, taking long walks and exulting in the antics of grandchildren. Or so the thinking goes and clearly not a gameplan that interests Ashok Soota, who at the spry age of sixty-nine has gone on to found yet another software firm called 'Happiest Minds.' Soota will be executive chairman, while Vikram Gulati will be the firm's MD and CEO. What makes Soota so successful? What makes him tick? "People like him who have been entrepreneurs are clearly visionaries. They are very good at spotting new trends in the industry, building on them and then moving to the next big idea in the industry," says Amneet Singh, VP, global sourcing advisory firm, Everest Group. "They are very dynamic leaders; they can build teams, motivate their teams and thus can drive outcomes," he adds. Dr Sridhar Mitta, 63, the first CTO of Wipro Infotech (it was Wipro's IT business then), and founder and MD of NextWealth, who worked with Soota for eighteen years, can relate to that. 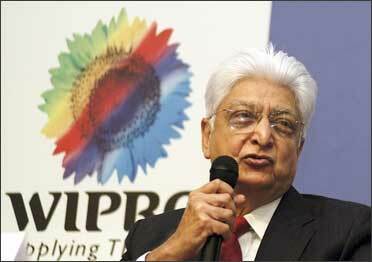 In 1983, Azim Premji was looking for someone new to lead Wipro Infotech, a company that had just started to manufacture 16-bit microprocessor-based mini-computers. 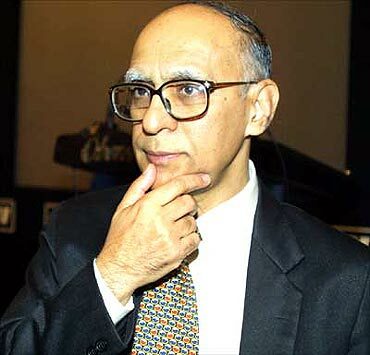 A friend of Premji's, Anand Khokha, who was living in the US, inturn suggested Ashok Soota whom he knew well. Soota was thirty five years old, and CEO of DCM Sriram, a refrigerator maker based out of Hyderabad. He knew nothing about computers. "There was a joke floating about those days. Somebody would say, 'Even if we show a refrigerator to Soota and tell him that this is a computer, he will believe it,'" says Mitta. "There was a lot of scepticism that how somebody who does not know computers and who does not have any knowledge of the computer hardware industry will manage the company," he adds. But Mitta knew right away that Soota presented a very different proposition from your average CEO-hire "What impressed me the most is that the day Soota joined Wipro - he joined at 9 o' clock and at 9.30 am he came to my room and said 'You are CTO of the company. So I need your help in understanding the technology. 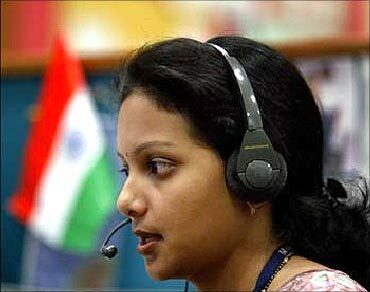 And we will do all the things that are required to make Wipro a technology company.' That was a commitment he brought to the company which really surprises me even today," says Mitta. He says that Soota brought with him the invaluable tenets of discipline and a focus on process and quality which are an essential part of the manufacturing world. Soota's penchant for efficiency is evident in that Happiest Minds has already put the core team and infrastructure in place, with its first customer locked in. 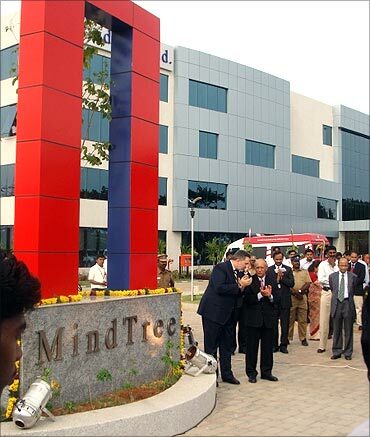 Going by its business model and mix, observers say that the company at this point looks like a miniature model of MindTree, although the various compulsions of a changing industry landscape as well as evolving strategies could alter that. The firm aims to achieve $100 million in revenues in five years and expects IT services to contribute about half of its business. The rest will come from software product engineering, infrastructure management and the security business. Soota is steering Happiest Minds into an industry which has a tremendous upside. According to Gartner research, the IT services market globally was around $800 billion in 2010 of which the pie of global sourcing was just 10 per cent. Image: Happiest Minds focuses on software products. Among the major offshore destinations, India is a major player as the IT outsourcing industry is pegged around $60 billion. "In that sense, the industry actually is in a nascent stage and there is a huge scope to improve that pie further," said Arup Roy, senior research analyst at Gartner. Yet, observers say that the firm has its work cut out for itself. A winning business formula will necessitate differentiating factors and a niche focus - such as, say, concentrating on the mid-market segment, on growth markets like APAC, or even creating a niche area for itself in terms of service offerings. "Generally, if you look at newer entrants into the IT services market, firms that don't identify niche areas in terms of domain expertise, service line expertise or geographic focus, have a tougher ride," adds Roy. Can Happiest Minds cope with today's high market risk, especially when the US and Europe's economies are posting low growth numbers? "Every step of business is a risk. Today we are in a volatile environment. There are different types of risks when you start. But at the same time there are also different types of opportunities when you start," says Soota. 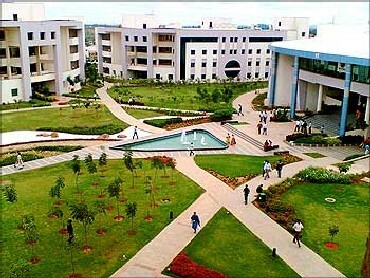 "In Wipro, there was a challenge in the early phase due to being one of the early entrants into this space. 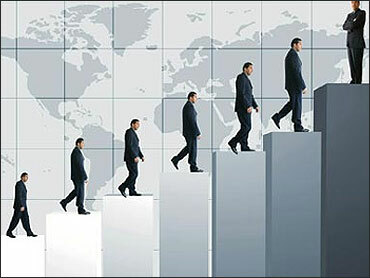 The opportunities for entry level companies are generally provided by disruptive changes in technology. We are seeing an enormous amount of interest areas like Cloud, mobility, analytics, social CRM," he adds. An engineering graduate from IIT-Roorkee (then Roorkee University) and an MBA from the Asian Institute of Management in the Philippines, Soota spent close to twenty years of his life with the DCM Sriram Group, a world removed from his eventual home in IT. 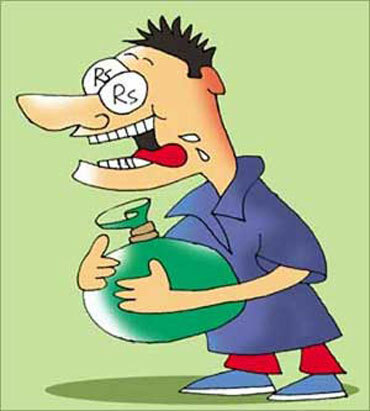 When Soota became CEO, his new job brought with it the unenviable diktat to stem five consecutive years of losing money. He did so, in a year's time, and with the same team minus one individual who in Soota's words was 'dysfunctional' enough to warrant his removal. "My stint at Sriram Group is one of my biggest achievements till now," says Soota. 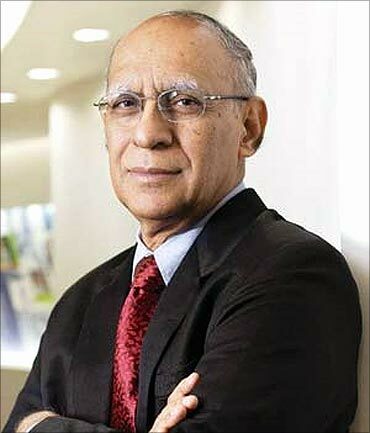 When he jumped ship to Wipro, as president of Wipro Infotech (1983-1999), he was instrumental in diversifying the company (which was primarily into computer peripherals at the time) into the IT services industry - one of the few people who recognised its potential decades before others did. In 1999, he quit Wipro to co-found MindTree along with a few others, after successfully driving Wipro's IT business from a mere $2 million in 1984 to almost $500 million in 1999. Soota comes across more like a Zen master striving to understand the meaning of existence, rather than plotting strategies to win in a turbulent business landscape. This has obviously percolated to the naming of his firm. 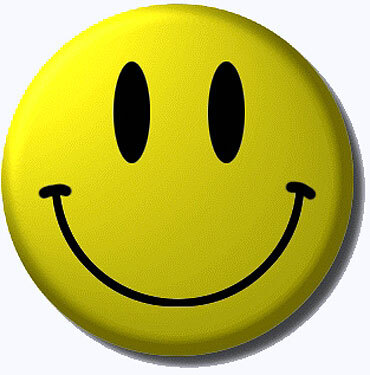 "Happiness is becoming a subject which is very much in the minds of the people. People are saying - what is the purpose of life and one of the purposes of life is happiness. So we are developing frameworks which will enable happiness," says Soota. He adds that "fulfiling my own potential, while helping others to fulfil theirs," is one of the factors that keeps him happy. Ultimately, the thing that has obviously impressed his co-workers and attracted his investors over the years - over and above all the other metrics used to size up someone - is his quality as an individual, which inturn has informed his ability to manage people and push them to great heights. Image: Purpose of life is happiness. "I feel that Soota is the best IT manager in the country, without any doubt," says ex-Wipro CTO Mitta. "He is a combination of a good manager and a good human being. He is one of the best managers that anybody can work under. And, he trusts his people, gives them freedom, flexibility and at the same time demands performance." This is an impressive testimony from someone who has worked at the highest levels with Soota - so much so that it can work against his firm. 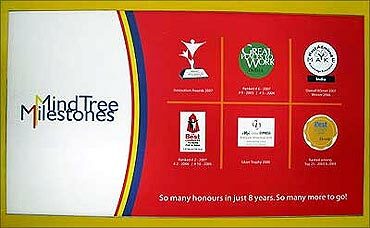 After all, Soota will have to convince his customers that there is life after Soota at Happiest Minds, that him potentially not being there on a full-time basis in five years is not something that will throw the spanner into the works. If he can do that, Soota is well on the way to getting what he wants: not just customers, but happy ones at that. Image: Soota, a great manager.